This is some next-level ramen. 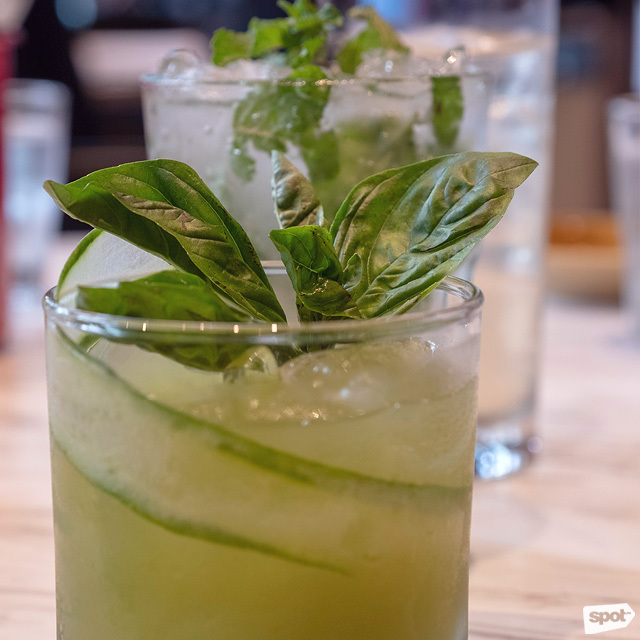 (SPOT.ph) From the same award-winning mastermind who gave us Ramen Nagi comes a new ramen bar that captures the essence of the modern izakaya. Out of all the countries in the world, Chef Ikuta Satoshi chose the Philippines to be the first home of his latest restaurant, Wonderbowl by Ramen Nagi. It’s official, you guys: We might actually be giving other countries a run for their money when it comes to loving Japanese food. 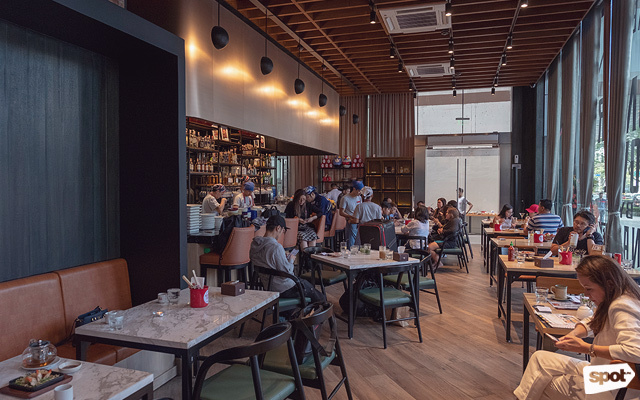 Situated next to Taiwanese restaurant Fat Fook, Chef Ikuta’s Wonderbowl sports a more upscale look compared to its sibling Ramen Nagi. While the interiors are still distinctively Japanese—a cluster of paper lanterns near the storefront, daruma dolls, and vintage movie posters leading up to a sleek bar where the bartender whips up a cocktail of your choice—it exudes a sophisticated charm. Like many of the best Japanese eateries, an efficient and punctual staff works with quiet precision to bring orders to the table. Offering more than the usual fare at a typical ramen-ya, Wonderbowl boasts a knockout selection of cocktails to match their sumptuous bowls of ramen. This refreshing pairing of hot and cold helps to cleanse the heavy taste of the soup, so that you can slurp to your heart’s content. 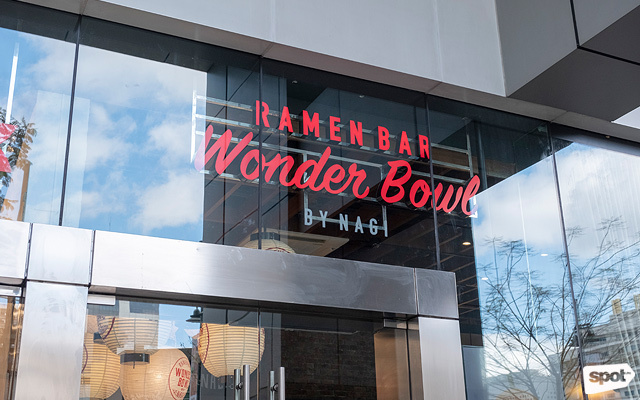 For the full Wonderbowl experience, ask anyone from the staff which cocktails come highly recommended with your ramen. Let’s get this out of the way: Each bowl is worth dipping your chopsticks into. Four signature bowls are available while the bigger premium bowls such as the Wonder Salt Ramen (P810), Wonder Lobster Ramen (P1,500), and the Wonder Miso Ramen (P590) will be made in limited batches per day. In the Golden Salt Ramen (P470), Chef Ikuta's signature broth base is served with a golden salt sauce and enriched with marinated Wagyu beef, shredded chili, red onion, kale leaves, bamboo shoots, and Japanese leeks. If this ramen looks deceptively light, it has to do with the firm and thin noodles floating in that beautifully clear broth. 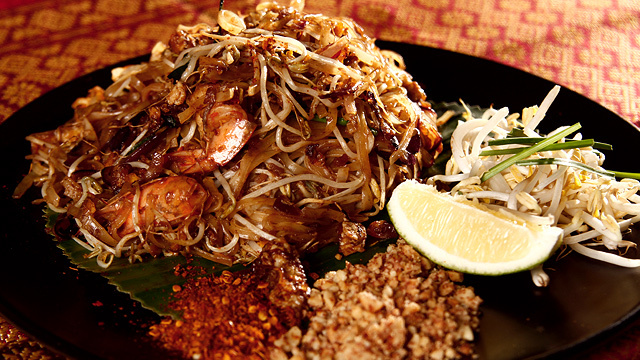 This bowl nails a perfect balance of delicate yet highly addictive flavors—a symphony that never overwhelms the palate. The Wonder Salt Ramen looks deceptively light but packs a punch. The Wonder Salt Ramen (P810) is a version of the Golden Salt Ramen with bigger portions and more beef, great for sharing. Awash with a golden sheen, this lustrous soup is perfect for slurping on a rainy day. 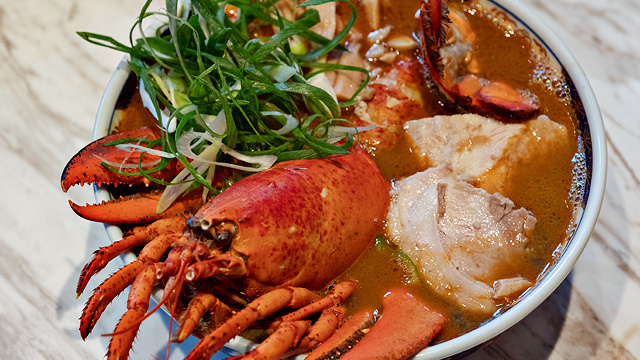 With an entire lobster as its showpiece, the Wonder Lobster Ramen is unlike any ramen you've had. 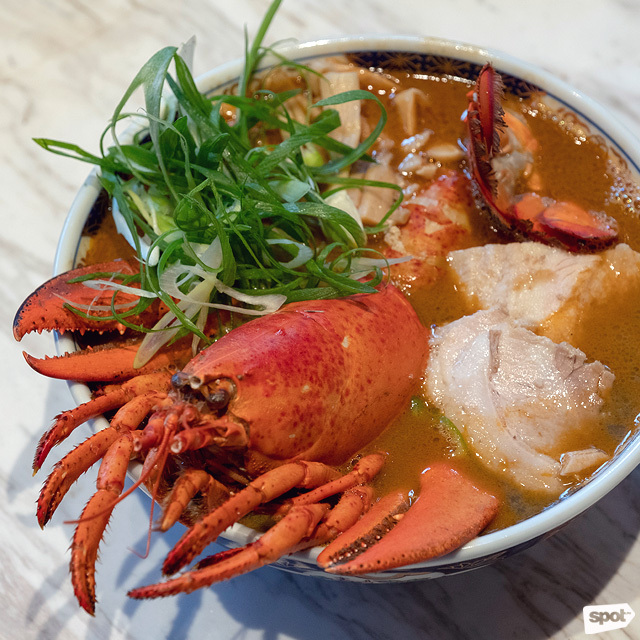 When the Wonder Lobster Ramen (P1,500) arrives on your table, you face a sight at once delectable and precious: One whole lobster resting on a bed of steaming noodles. The portions of this bowl are generous, to say the least; a smooth and filling indulgence with its lobster and ebi soup stock. The richness of the broth works well with the fresh lobster meat and the melt-in-your-mouth soft pork chashu, served with green and purple cabbage and Japanese leeks with ebi powder. If the price of the premium bowl is too steep, we can assure you that the smaller King Lobster Ramen (P490) is just as hefty and satisfying. The broth of the Wildfire Miso Ramen is so thick, it's almost a sauce. 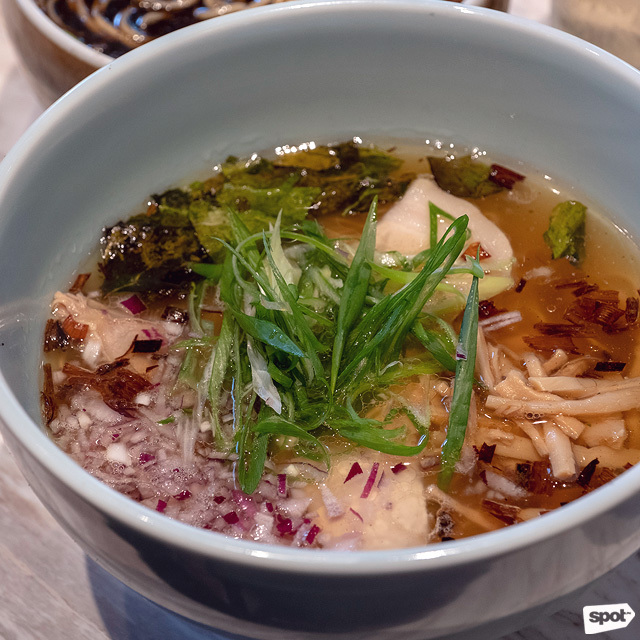 Not to be upstaged by the others, the Wildfire Miso Ramen (P590) also deserves your attention for its irresistibly fragrant and almost sauce-like soup, topped with mushroom onions, Japanese leeks, and Chinese chives. Flat noodles with a charred miso taste give this broth a smoky flavor that lingers on your lips. 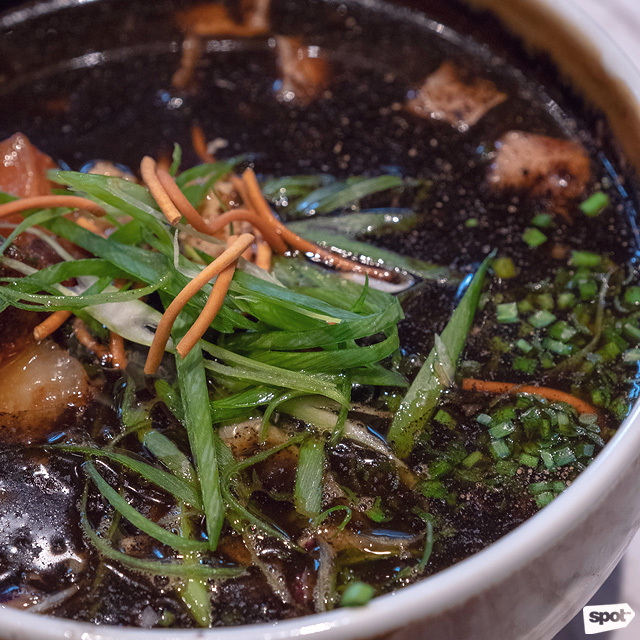 Combined with thick and juicy chunks of Wagyu beef swimming in a salt base broth, the smoky taste is primed for diners who like to savor the smoky, caramelized parts of their liempo, giving it a nice umami kick. Ramen Nagi’s signature Butao King gets a much-appreciated upgrade with the Premium Butao (P490). A nod to the famous bestseller, this ramen of tonkotsu broth offers more than a hearty helping for all the bottomless stomachs out there. 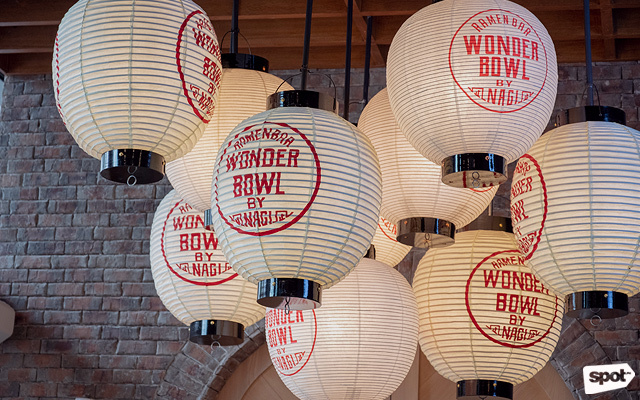 More than experimenting with novel flavors of ramen, Wonderbowl proves that it can serve up old-time favorites on a reliably consistent basis. To add to your ramen, you can avail of toppings such as umami butter (P30), nori seaweed (P40), green onion (P50), umami egg (P60), wonder spicy sauce (P60), cha-shu (P120), kakuni (P120), and more from their menu. It doesn't get more premium than the Foie Gras ‘N’ Truffle Gyoza. While few dishes can truly upstage the ramen noodles at a ramen bar, you definitely shouldn’t sleep on the other dishes in Wonderbowl’s menu. 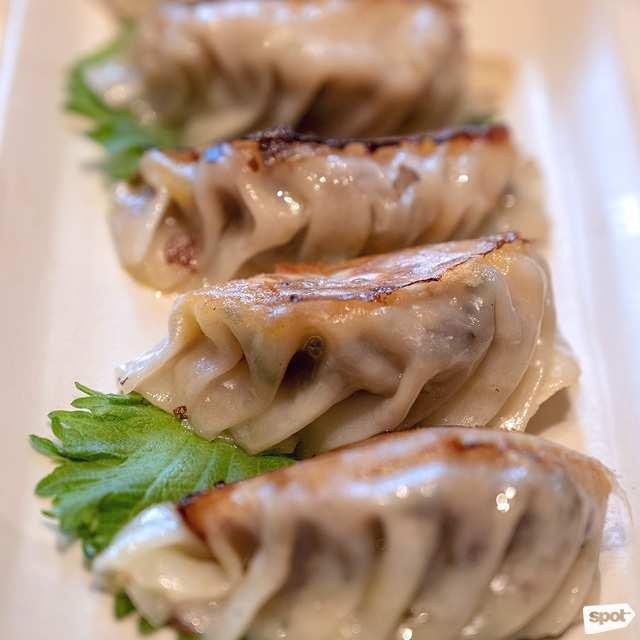 Their Foie Gras ‘N’ Truffle Gyoza (P420) makes one hell of an appetizer, packing a salty and savory punch with every bite. From the non-ramen dishes in the menu, we can’t get enough of the Chashu Gratin (P450) and the Bone “Miso” Marrow (P450), the latter of which calling to mind a sweetly marinated steak. Wonderbowl's refreshing signature cocktails balance out the rich ramen. 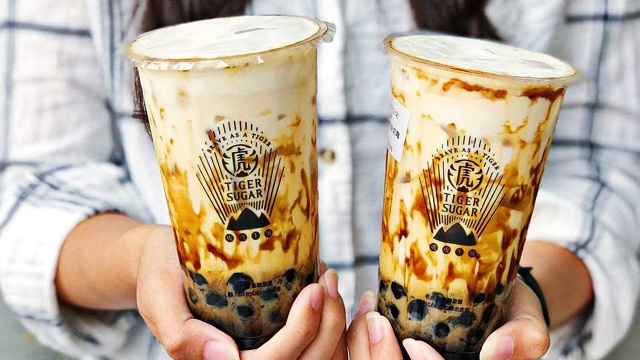 True to its name, Wonderbowl doesn’t hold back when it comes to serving sizes, nor in the meticulous craft of coming up with inventive flavors that keep us on our toes. We know Ramen Nagi as a place where we can customize how we like our ramen, and now, a little bit of that freedom has made its way to Wonderbowl, too. 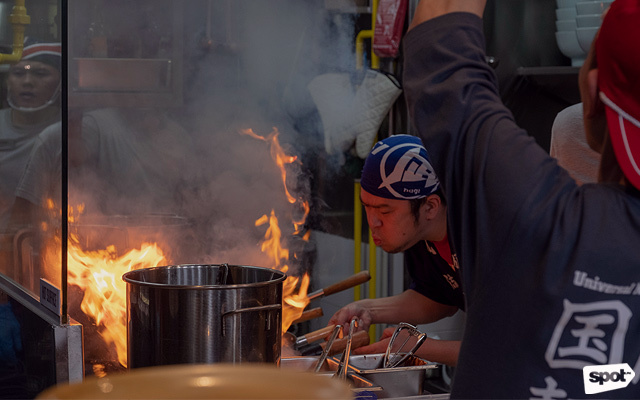 With over 17 unique dishes and seven cocktails to choose from, Wonderbowl offers diners plenty of ways to enjoy artisanal, authentic ramen without actually teleporting them to Japan.